A collection of six crime novelettes that take you on a trip through the more off-beat regions of law enforcement. 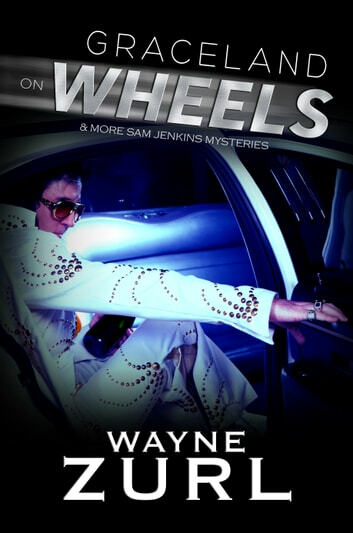 Follow Prospect, Tennessee’s Police Chief Sam Jenkins as he meets Gypsy conmen and a beautiful fortune teller in GYPSIES, TRAMPS & THIEVES, a gun show hustler and his right-wing militia cronies in HEAVEN’S GATE and a collection of pool hustlers competing for enough prize money they’d kill for in ALVIS IS IN THE BUILDING. A Chinese restaurant owner loses a little finger and feels the grip of vicious thugs from a Malaysian triad in THE SWAN TATTOO. The murder of an Elvis impersonator for a few bits of gold takes you on board GRACELAND ON WHEELS, and in NOTHING FITZ, an unlikely coalition of crooks on a National Guard air base are responsible for a brutal murder.